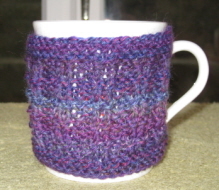 Three patterns for DK mug cosies - you can make all three from one 50g ball of DK yarn or make them in different colours using wool from your stash. 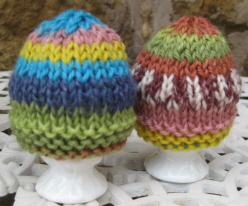 These egg cosies are an ideal starter project. 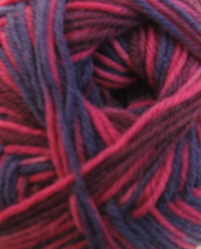 They are kniitted on 2 needles in Knitcol self-patterning yarn so look more complicated than they actually are. 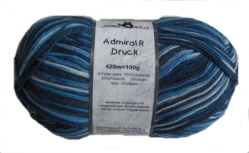 One ball will make a family-full of cosies or you can knit one or two using leftover DK yarn.